The photo above is from our local fresh market, a great place to buy vegetables and flowers and an even better place to pick up great snacks and the tastiest morsels of fried dough you’ll find this side of anywhere. It’s one of the perks to living here, the chance to get up early on a Saturday morning and walk 15 minutes to a 2 story open air structure bustling with people and produce, where you can buy anything from a pet goldfish to a ball of yarn to a roasted rabbit to a gutted pig carcasse. There are other things I like about living here. I like the little bit of challenge that comes with each day. Now that I’ve come to accept most of the strange/silly/frustrating aspects of daily Sichuan life, I’ve come to find most of them amusing and entertaining in their own way. For some reason nearly getting run down by a black audi cruising down the sidewalk doesn’t bother me like it used to. Neither does the need to argue with waitresses to avoid paying for dishes that we never ate because someone forgot to tell the cook the whole order. Those are just normal things now, sometimes funny, sometimes forgettable. I like the food, I like the pace of life. I like that there are many months in which we’ve been able to save twice as much as we’ve spent because there is just so little we are interested in buying here besides food. If I had access to fancy grocery stores or even cosmetics without weird chemicals in them I would have never found out that baking soda mixed with a little honey and lemon juice makes for a fantastic face wash. I’d have never learned to make bagels from scratch or realized how many uses there are for an empty jam jar. There are of course things I hate. I hate the pollution, I hate that even on a “blue sky” day, the air is still thick with chemical smells and cigarette smoke because there are just that many smokers and that many buildings being torn down and rebuilt on every block. I hate the crazy amounts of pesticides used, I hate the scary lack of food safety and the fact that not even the rice is safe here anymore (10% is tainted with heavy metals). I hate that we bought 33 pounds of watermelon last weekend only to learn that farmers have been using so much growth hormone on them that they’ve been exploding in the fields. FYI, there is no excuse for buying 33 pounds of watermelon, not even a barbecue for 45 people. I don’t know what we were thinking. Anyways, for everything I hate about living here, there are a lot of things I like and I feel like 13.5 months in (who’s counting though right?) I’m finally hitting my groove. I have things happening here that I’m looking forward to, a long list of people I want to have over for dinner, projects I want to take on, places I want to visit. I no longer think longingly of yuppie creature comforts like Whole Foods on a daily basis. I no longer mourn the loss of my old life in DC among my ambitious non-profit peers, I find myself considering career options and projects that I may have never have thought of had I stayed in that bubble. I’m getting comfortable navigating the world of the Foreign Service, which at times feels like 1950’s Pleasantville and at other times like a “Breaking News” broadcast. It can be very aggravating but it’s rarely boring. Which is all to say that I’m actually a little nervous to head back to the States in a few weeks. Forget how much I’ll miss Chris for my first 5 weeks home (soooo much, we rarely go more than an hour or two without laying eyes on each other, 5 weeks sounds like an eternity), forget how much there is to do to get ready for the baby, forget what a life change that will be, I’m worried about what will happen to my recently acquired sense of expat peace with a 3 month stint Stateside. Will I walk into a Target and just totally forget how I’ve survived the last 6 months making my own face wash and contentedly wearing all of the same clothes I’ve owned for the last 5 years? Will I get so used to having a well-stocked grocery store and organic produce again that I’ll get super frustrated trying to cook when I get back to Chengdu? The clean air will be amazing, driving will be a pleasure, I can’t wait to gorge myself on pesticide-free strawberries and absurd amounts of guacamole, but how will I handle America again? Or will having a baby be enough distraction to sort of avoid the whole reverse culture shock thing? Thoughts? p.s. I owe this blog a baby update. For now I’ll just say that the 3rd trimester is exactly as uncomfortable as I was promised but I don’t think I’ve ever been more in love with our son during this pregnancy than I am now, we can’t wait to meet him. 1. Sorry for the absence lately. I’ve got about 7 posts drafted and another 5 in my head but I’m in one of those phases where I can’t stand anything I write. Great for getting better, not so great for getting anything posted. 2. One of the posts drafted is in honor of my amazing mother and awesome mother-in-law for Mother’s Day. I tried 5 times to write it, not one version seemed to do justice to either of these fabulous women. I think I need to write a book instead. 3. Yesterday my husband mopped off our balcony so we could have people over for an impromptu get together. He also washed the massive stack of dirty dishes I created and grated a whole bowl of carrots for me. He’s amazing. Last night I dreamed I married someone else and had a miserable life as a result. Ok fine, yes it was Prince Harry and his grandmother seemed convinced I was in it for the silver candlesticks, but whatever. I woke up this morning so, so glad to be in bed next to my man instead. 4. Yesterday I made the husband 2 loaves of pepperoni and cheese Italian brioche and figured out a way for him to set up his hammock on the balcony. I won major wife points. 5. Do you ever have charmed cooking days? Where you miraculously have everything you need in the fridge and in the perfect amount, all of your baked goods need the same temperature oven, and every new recipe you try out is fabulous? That was yesterday for me. It was amazing, I felt like Martha Stewart, well if Martha Stewart lived in China and had to make her own tahini for her hummus. Oh yea, and if Martha Stewart walked around looked like she swallowed a whole watermelon. 6. I also have crappy cooking days I should point out. The other day I broke 2 ovens and started a gas leak trying to make one measly little cake. Fail. 7. Peppadew peppers + white beans + cream cheese + food processor = the most delicious and borderline healthy dip on the planet. 8. Carrot cake + freshly grated ginger in the batter + maple cream cheese frosting = I want to eat the whole cake myself. I have a new favorite cake and it’s made with vegetables. Who’d have ever thought? 9. Have I mentioned we are done moving? We are done moving and it feels fabulous. I will never take American-standard plumbing and circuitry for granted again. Did you know I can run the oven and any other appliance at the same time here in our compound apartment??? I can even run the washer while I run the dryer! If Chris brushes his teeth while I’m in the shower, I don’t freeze! It doesn’t smell like raw sewage in here! The flames on our stove go low enough to actually simmer things! There is room for Thumper to play on the floor in a few months! 10. Thumper is kicking away like…well something that kicks a lot. Chris and I can actually see my stomach move now when he really gets going. I’m totally entranced. I never thought I’d be one of those women who stares at her belly, rubbing it all day but I totally am. Up to this point I never really understood women who say they “loved being pregnant” and miss having their baby inside them after they give birth. Now I think I kind of get it. I get the connection people talk about. He feels so much more like a real person now that he’s constantly bumping around like he owns the place. Before when we’d put our hands on my belly, he would always stop moving, or we’d stop being able to feel him. Now when we put our hands on my belly or when Chris whispers into my belly button, he sort of rubs up underneath our hands as if he can actually feel us there. Now we just can’t wait to meet him in t-3 months. 11. Holy cow, 3 months?? Technically, 2.5 months now!?! Where did that time go? How fast can August get here? 12. The lack of photos on here recently is due to the sad fact that my camera appears to be somewhat busted. It still works but not well and not well at all in manual mode. It’s as if the shutter is miscalculating how much light is really available for a given shot. Even with the flash on, plenty of light, and maximum aperture, the shutter stays open for at least 5 or 6 seconds. It’s nearly imposible to take a clean shot. Chris updated the firmware for me and that helped a little but it didn’t fix it. Anyone else have this problem with a Canon Rebel? 13. 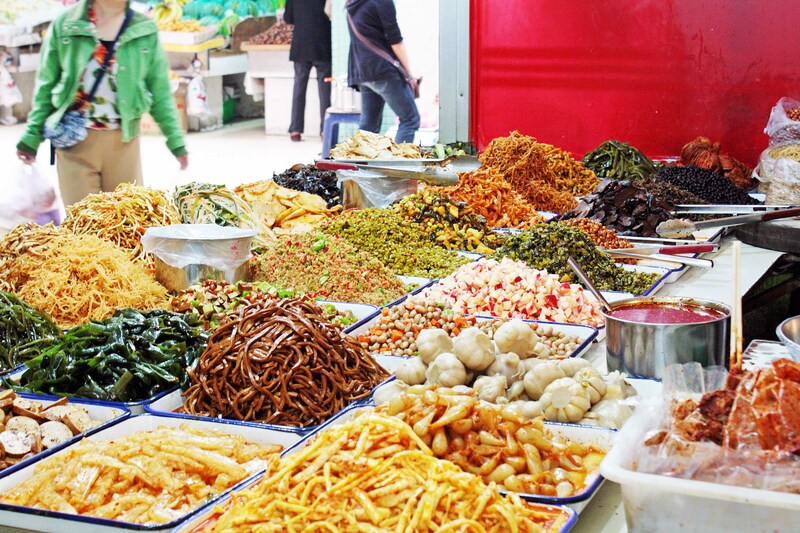 Xiang La Bing is probably the greatest culinary bargain in all of Chengdu. It’s like crack, oily, spicy, bread-y, sesame and green-onion covered crack. It comes in a little plastic baggy and it makes me high on living in Chengdu. We also live much closer to the best source in town now. Remind me to do a post about it sometime. …From Walmart. My yuppie, liberal, bleeding heart is well…bleeding. But we’re ok with it. It wasn’t long after we found out I was pregnant that I started obsessively casually browsing cribs on the interwebs. 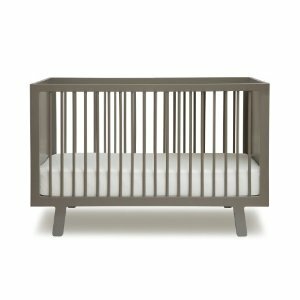 Having never shopped for a crib before I assumed it would be easy to find something we liked: clean lines, non-toxic, on the smaller side, with a modern-esque design for under $200-$300. 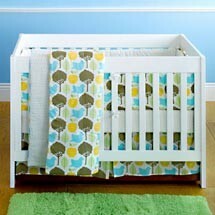 There is no such thing as a truly inexpensive modern clean-line crib. I saw a few of these in person over R&R and I have my doubts about any of these fitting into a compact Asian high-rise apartment-an important consideration for the next few years. Plus, the look is a little Drexel Heritage…which gives me the shakes. Problem is they are expensive works of art-costing anywhere from $600-$1600 dollars. American, not Zimbabwean dollars. So gorgeous they make you want to throw out your coffee table and set up the crib there instead for everyone to admire. So expensive they make you want to stop eating for 6 months to pay for one. 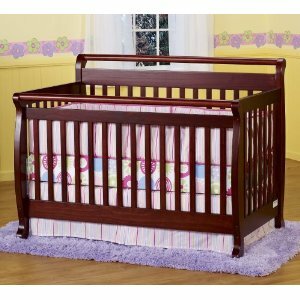 There are also plenty of inexpensive, basic cribs for under $150 bucks, but it’s just kind of hard to tell online which ones are good quality and which ones aren’t. In D.C. Craigslist would be a great option, in Northeastern Wisconsin all I’m finding for sale are sleigh-bed type cribs and baby Packer outfits. For months, literally months, I searched for an alternative. I went up in my price range, I lowered my expectations. We looked at cribs at Ikea here in Chengdu and found a nice, inexpensive one we liked…until we checked out the available mattress options which were a bit too soft and not sized for U.S. sheets, mattress covers, etc. At one point I even toyed briefly with the idea of skipping a crib altogether. Couldn’t we go straight from bassinet to bed? And then, one day, I was reading Cup of Jo and clicked on pics of her son’s nursery for some baby style inspiration. Turns out her bedding and decor weren’t quite my style but before I clicked away I noticed that the crib looked compact and modern and sleek. Given that this $140 night light was on the dresser, I assumed the crib must also be out of my price range. Turns out, it wasn’t, it was from Walmart. Yes, that Walmart. I was intrigued and so last night I did some online Walmart perusing and was shocked, shocked people by what I found. There’s apparently a lot more to Walmart’s selection than what you can find in it’s stores. Their crib selection dwarfed Amazon’s and the prices were palatable. They had all of the cheap cribs plus all of the monstrous sleigh-bed cribs plus a whole selection of modern-esque cribs at reasonable prices. And so I happened upon a crib: white, with clean lines. The wood is sustainably-harvested and the finishes are all non-toxic and certified by like every rating system on the planet. There are 4 mattress-height settings and I’ve read really great reviews of other cribs made by the same company. And the price? Not too shabby-more expensive than a super basic crib for sure but a whole lot less than any of the other cribs we liked. Plus online Walmart purchases ship free to any Walmart store. And with Mama and Papa Smith graciously volunteering their pick-up services, it just seemed too good a situation to pass up. Chris liked the crib. I liked the crib. We could afford the crib AND we could FINALLY be done looking at cribs. Holy cow was I ready to be done looking at cribs. So, in a shocking display of spontaneity I quickly added the crib to my cart, added a crib mattress while I was at it and hit “buy” before I could change my mind.